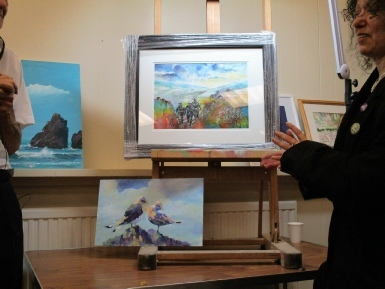 A good number of members submitted their artwork for the critique, ably conducted by Marged Williams. 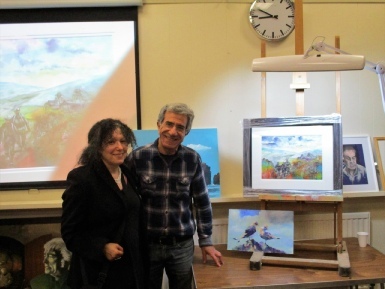 Each painting was viewed and reviewed, with good, constructive advice given. Every member always gains knowledge from the critiques, for their own and others work, and we thank Marged for imparting her knowledge and kind and constructive critiques. It was a difficult choice, she said, but chose her top 2! 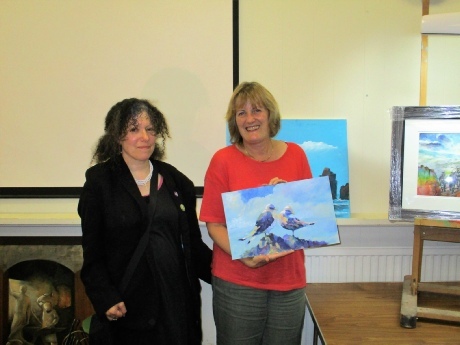 Claire's Sadlier's 'glowing' seagulls and Eli Absi's evocative valley's colliers. Well deserved both! !